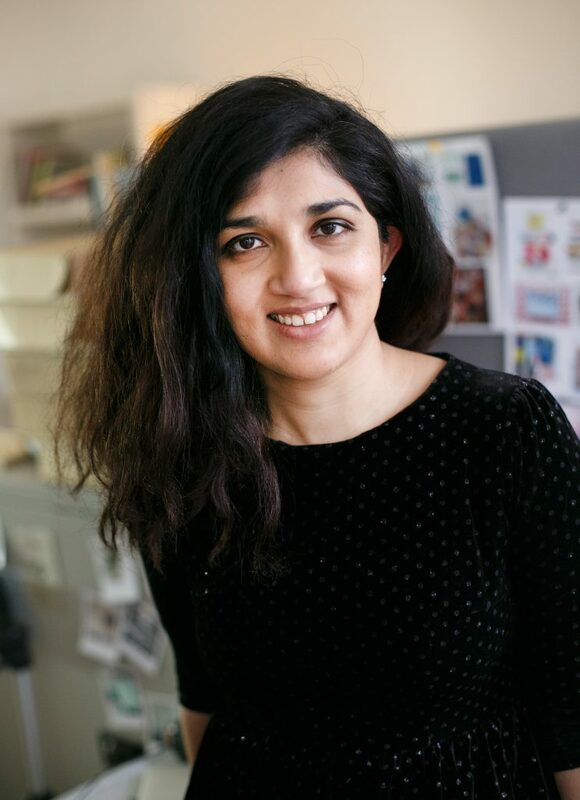 Karishma was involved in establishing The Design Salon and Belfast Design Week . She has recently designed, crowdfunded, and produced Espionage, a new card game. Belfast places a lot of value on certain parts of design such as film and tech sectors. There is a strong community around those areas of design, with mechanisms and networks to support their development. But it also means that at times, other sectors within design don’t get valued in the same way; they haven’t benefited from the same community support or structural investment as a result. As a city, we also struggle with really valuing being creative. We think in categories, and lots of what we do as a city reinforces that thinking. But that’s not how the world works. We need to have people from different sectors collaborating and working together. We need to value creativity as a way of doing things. Experience is absolutely important, but people in Belfast too often fall back on an established way of doing things that doesn’t benefit change. A few of us working in design wanted to show what it can do in and for Belfast, and we wanted to do that in an inclusive way. Christine James and I set up The Design Salon, which led to the creation of Belfast Design Week. Both of these projects are about building a broad design community – not just about people working in the creative industries but anyone who feels that being creative is important in Belfast. And they’re also about demonstrating how important creativity, and more specifically, design is to the city’s life. People get scared about creativity and design; they can be seen as exclusive and pretentious by those outside the design and arts sector. But design can help change society’s challenges. We just need to be open to new ways of doing things and being inclusive in our approach. The other bit that is important is to be ambitious for that change. It’s important to me to use Belfast’s design heritage, in shipbuilding and linen, for example, to help make it a design hub for the future. Belfast Design Week is now into its fourth year so I want us to keep building upon what we currently have and build the confidence of the sector to collaborate and push what we can do. When compared with other cities, Belfast is like a blank canvas: there are so many opportunities to do new work and set up projects here. How we make design relevant to people is important: it needs to engage the public in a very obvious way, maybe through something like how we vote or take part in polls. Belfast definitely needs to be more creative about how it approaches some of its challenges. A successful Belfast is about building that mixture of experiences so that we challenge the thought “but that’s the way we always do that” as though there is only one way to do things. Design and creativity need to be valued in the city in a meaningful way. I certainly hope that Belfast Design Week can build on what people have been doing in the design sector for a long time and get the public engaged more in design.